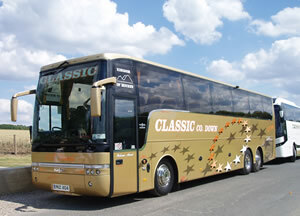 At Classic Coaches we can offer you a full holiday package from travel to accommodation and activities. Whether it be an energetic sports based tour, a relaxing family or group holiday, wedding and other party ocassions or a series of cultural visits to the wide range of properties, museums, and sites that are scattered all over Ireland, North and South, we can help. How many can we cater for? 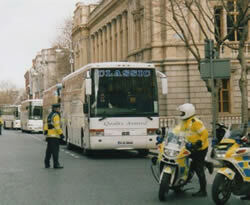 Classic Coaches tours can be for any number of people. Our luxury coaches can cater for any number of passangers up to 55. We have many contacts with leading hotels and other accommodation providers allowing us to meet your specific requirements in this area. Our contacts then extend to the many visitor attractions and sporting venues or all kinds around Ireland ensuring we can secure you access and the best rates available. You name it and if it can be done (legally) we can probably do it !